Chelsea Square in Marlboro is an Active Adult community for those who are 55 + or over 55. 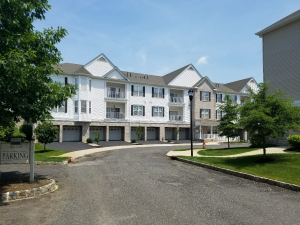 While it’s conveniently located in the northern section of Marlboro, Chelsea Square is close to bus transportation and the Garden State Parkway. When you want to go to New York, you will find the New Jersey Transit station in Matawan is a few minutes away. 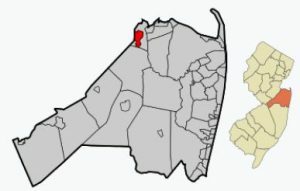 This means there is quick and easy access to New York City. Shopping and dining are also nearby. When purchasing new construction, it’s in your best interest to bring a Realtor who is experienced in new construction sales. It costs you nothing to have a Realtor represent you. Bunny and Art have sold many new construction homes and have ideas that potentially save you thousands. Construction started in 2008 in Chelsea Square Marlboro. When completed, there will be 14 buildings in Chelsea Square Marlboro. The buildings are 3 levels high, the bottom level is a parking garage. The building is serviced by elevators. The homes are single level, with either 2 or 3 bedrooms and 2 baths. Also, each home has a garage, Home sizes range from 1,482 sq ft to 1918 sq ft. The clubhouse has an outdoor pool, card rooms, exercise rooms, a club room and a business center, and access to the building is security controlled. Additionally, you’ll find many activities and clubs are available. In addition, your pets will be welcome in Chelsea Square. Nearby you’ll be able to enjoy local activities such as fishing, boating, golf, shopping, dining and much much more. All Adult Communities in Monmouth County offer transportation services. There is a bus service from each community to local shopping centers such as malls and supermarkets. This is a scheduled service and there is no charge. There is also a medical transport bus that will take people to any medical facility or doctor’s office in Monmouth County. These trips must be scheduled a few days in advance and there is a minimal charge for this service. 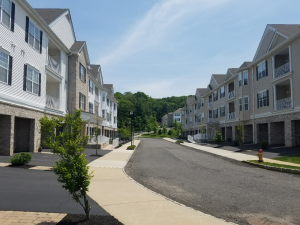 Call today to the active adult community homes available for sale in Chelsea Square, Marlboro NJ.